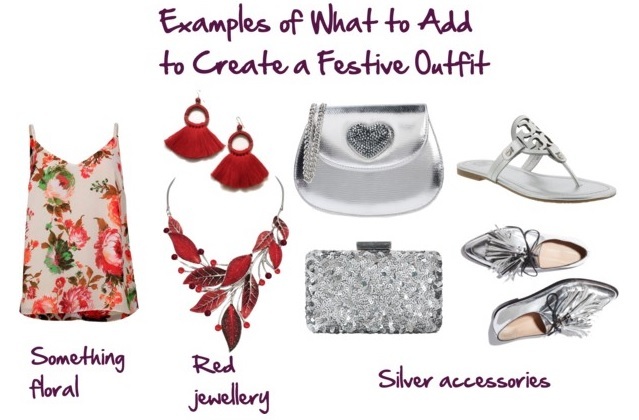 Do you find yourself struggling to create festive outfits for Christmas and holiday get-togethers? 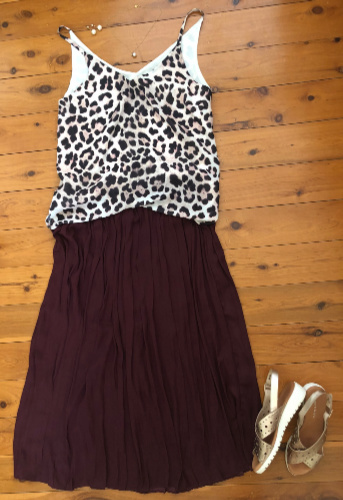 If you, like many of us, find this time of year stressful, its a good idea to spend a little time planning festive season outfits, so you can enjoy the parties you go to and remove the stress of having nothing to wear. 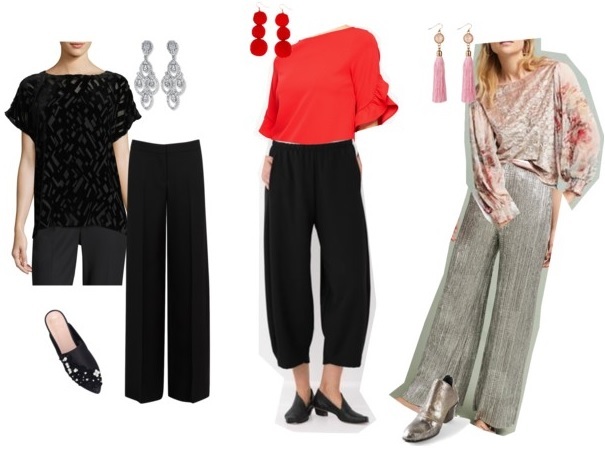 Here are ideas to help you plan your Christmas and holiday season party outfits. 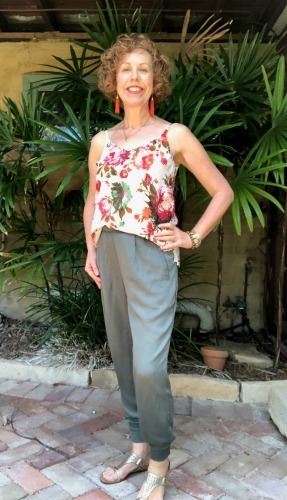 I also show you outfit ideas, including examples from my wardrobe. Try re-styling -- can you combine separates and accessessories in a different combination to make it feel more stylish, contemporary and festive? Accessorize -- add a bold necklace or scarf that has a seasonal feel. For example: something shiny or sparkly; something in a metallic, green and/or red. Layer 2 or more necklaces that have similar colors or a similar 'theme' or 'look' to create more of a statement. If you don't have something suitable already this is usually an easy, cost-effective way of making an existing outfit feel like new. Add a festive top -- if you still can't find anything suitable in your wardrobe identify the bottoms you'd like to wear then buy a new top. You might find this easier (and more cost effective) than buying a dress when you're feeling stressed! 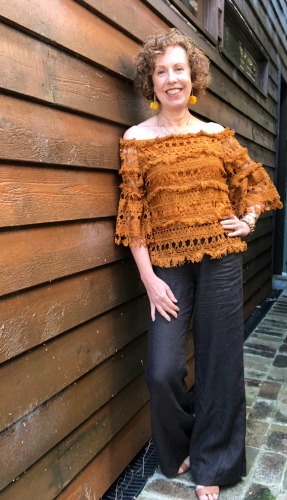 If you don't like showing your upper arms, or you want to add more warmth, try adding a 3/4 sleeve or full length fine knit, or mesh top, in a tone of the top colour. Or,if you don't have a sleeve style you want to display, simply add an outer layer of a dressy cardigan or softly tailored jacket. 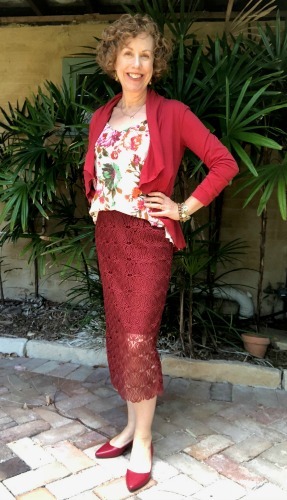 Choose a heel height you're comfortable in, especially if you know you'll be standing for most of the event, but try and make the style a bit dressy, as shown. Keep it simple. 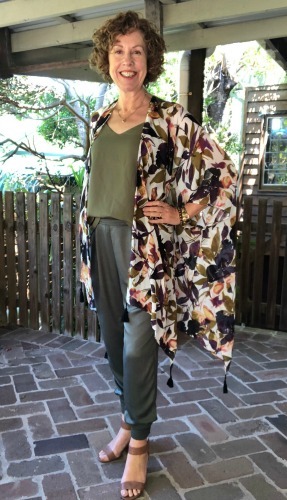 For example, create a monotone outfit from items you already have and simply add one focal point, such as a statement necklace or earrings. 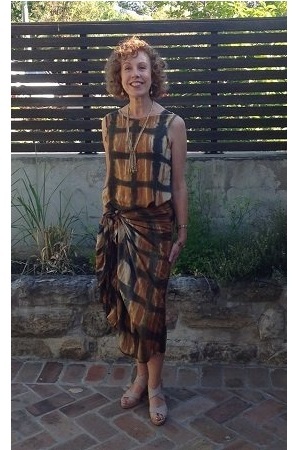 Or add one item in an opulent fabric. 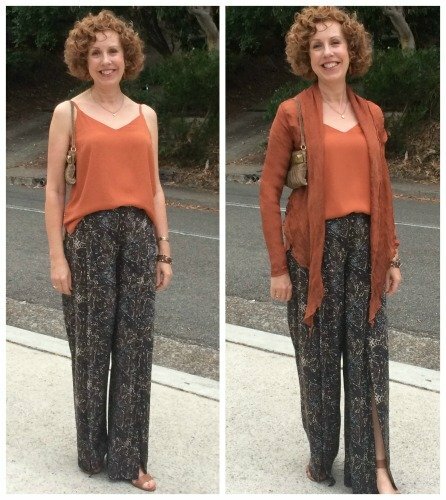 These are my new-favourite pants! 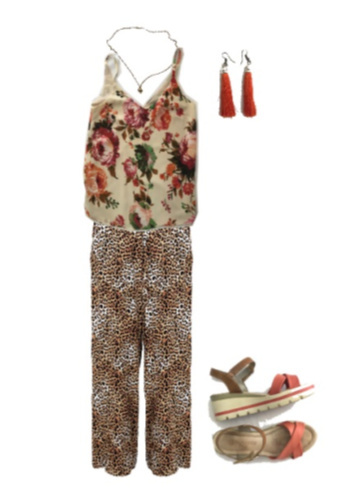 Loving this clashing print combo. Prints linked by color. 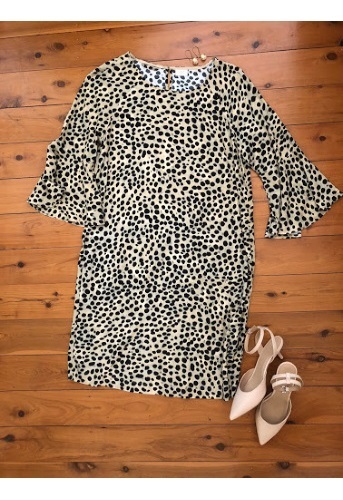 As you can tell, I'm loving the dominance of leopard prints this season! If Christmas day is cooler, I'll wear this dress. 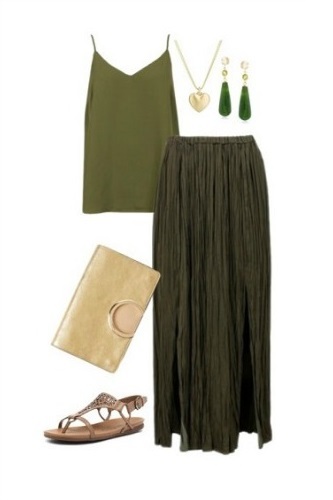 Green and gold outfit. I wore this on Christmas eve 2016. Another holiday season outfit idea. 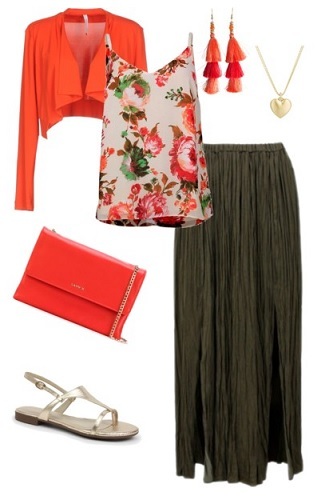 These wide leg pants are still very much on trend. I make sure I wear outfits on different occasions. For example, I won't wear the same thing I wore on a previous Christmas Day, or New Years Eve for the same day on subsequent years. And for the outfits below, I'll make them feel fresh again by changing the accessories. Christmas eve garden party 2015.